Explore L.A. in a car free way with Discover Los Angeles. They’ve put together itineraries that feature walking, biking or riding Metro to destinations that tourists and locals can both enjoy. On Sunday, May 19, Discover L.A. is arranging a photo tour for those who want to try the L.A. Music itinerary. Meet up with the group at Michael Jackson’s star on the Hollywood Walk of Fame, located in front of the TCL Chinese Theatre and next to the Red Line Hollywood/Highland Station. 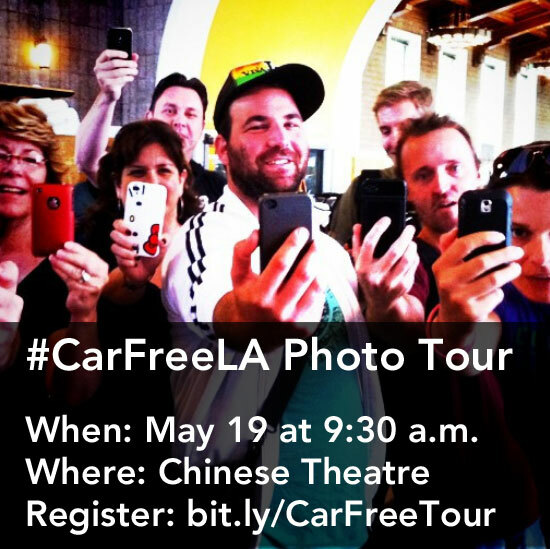 The photo tour will start at 9:30 a.m. and last until approximately 2 p.m., ending at Amoeba Music. Make sure to wear comfy walking shoes and load up your TAP card in advance. The tour is free and open to all, so sign up today. If you’re posting the photos to Twitter, tag @metrolosangeles and some of your pics may end up on Twitter Tuesday!